Looking for a professional carpet cleaner on the Central Coast? We can help. 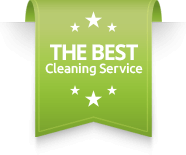 Servicing the Central Coast residents for over 15 years, we are pleased to be one of the most recommended cleaning companies on the Coast today. Looking at your carpets and realise thats it’s time to freshen them up? Give us a call. We will orgainse a time that suits you, and get your carpets fresh and clean again in no time. Our whole service from your initial phone call to your after service care, is hassle free. We love cleaning for our fellow Central Coast residents. We take extreme pride in our work, and know that you will be in love with your carpets once again, after we have cleaned them. Call us today on 43394718 to schedule your carpet cleaning service.